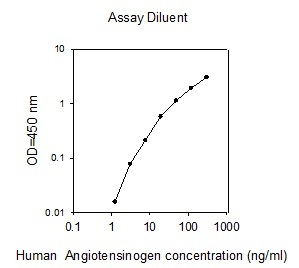 RayBio® Human Angiotensinogen (SERPINA8) ELISA Kit for Cell Culture Supernatants, Plasma, and Serum samples. JURKAT cells were untreated or treated with Pervanadate for 10 min. Cell lysates were analyzed using this phosphoELISA and Western Blot.